You might have heard about a man by the name ofStephen Hawking, whether it be in the media or in your social circles, because he is one of the greatest minds of our time. At the age of 21, Hawking started developing symptoms of ALS, or amyotrphic lateral sclerosis, a disease that doctors claimed would take his life in about two and a half years. 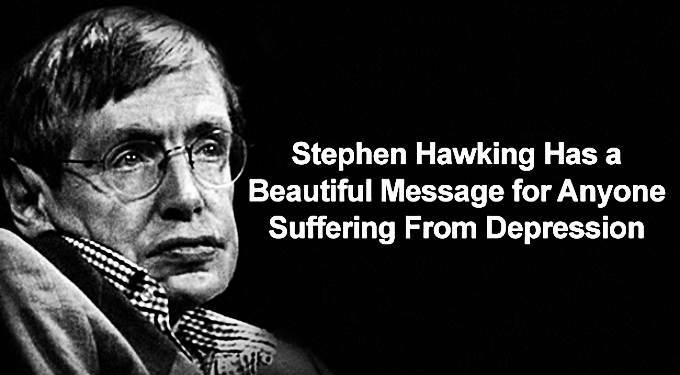 Now 74, Hawking is a huge inspiration for those with disabilities, as he continues to teach, research, and provide profound wisdoms for the rest of us to ponder. After his diagnosis, Hawking says that he had absolutely no expectations for life. But he didn’t let it deter him from doing his best to live fully and passionately. He has twelve honorary degrees and has built a life dedicated to the study of theoretical physics, including robust theories on creation, the Big Bang and the universe. “If you are disabled, it is probably not your fault, but it is no good blaming the world or expecting it to take pity on you. One has to have a positive attitude and must make the best of the situation that one finds oneself in; if one is physically disabled, one cannot afford to be psychologically disabled as well. In my opinion, one should concentrate on activities in which one’s physical disability will not present a serious handicap. I am afraid that Olympic Games for the disabled do not appeal to me, but it is easy for me to say that because I never liked athletics anyway. On the other hand, science is a very good area for disabled people because it goes on mainly in the mind. Of course, most kinds of experimental work are probably ruled out for most such people, but theoretical work is almost ideal.